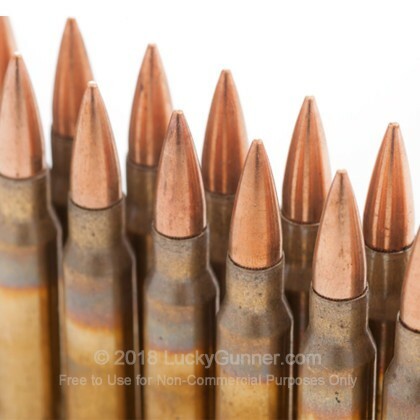 This particular round is a military production overrun ammunition. 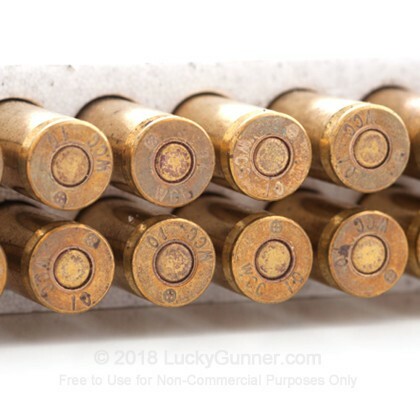 Available for a limited time, this NATO spec ammunition features a copper-clad steel jacket bullet with a lead core in boxer-primed, annealed, reloadable brass. Makes a great practice round. 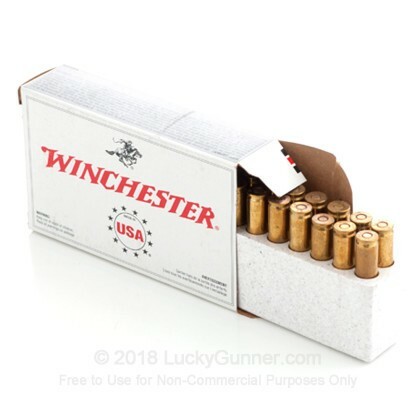 Manufactured by Winchester and packaged in Winchester boxes. Note the projectiles in this load are magnetic. Got a new 16" barrel for my DPMS SASS, the CBC ammo i was using had multiple FTF FTE's. so I bought a box of this stuff. 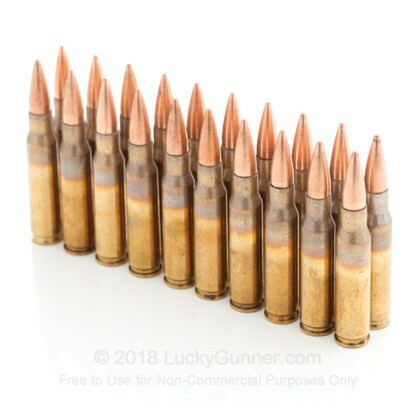 2 10 round mags fairly rapid fire, and not one FTF or FTE, looking for something a little less than this price for 20 rounds, but at least i know it functions well in the gun.... good reliable ammo. 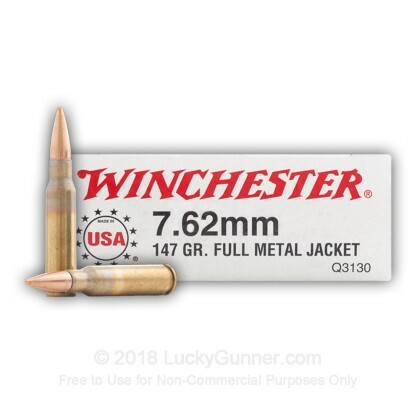 same great quality as I always get from Winchester! Fast shipping too! 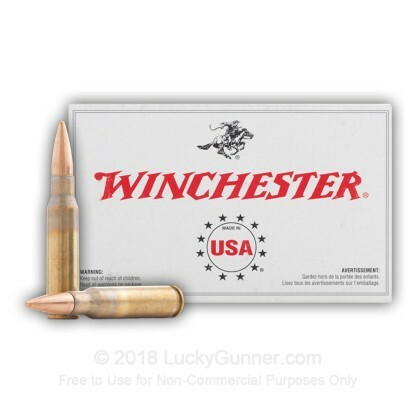 Winchester's target ammo is just great, good price, great quality! Shot 100 rounds with DPMS .308 without a glitch.Very good accuracy and feeding...THANK YOU LUCKY GUNNER!!! Great ammo for my DPMS 308/7.62 automatic.THANK YOU LUCKY GUNNER.GREAT SERVICE AND FAST SHIPPING. 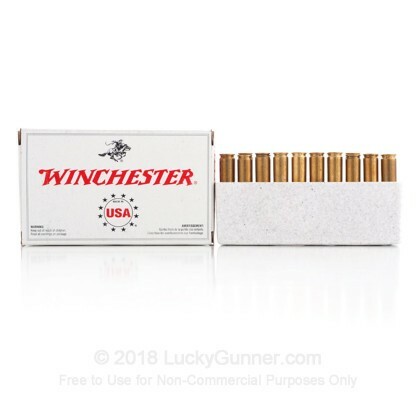 We also have this 308 - 147 gr FMJ - Winchester 7.62x51 - 200 Rounds ammo in stock in a bigger quantity.